DotnetCore Web API model validation message from resource file. 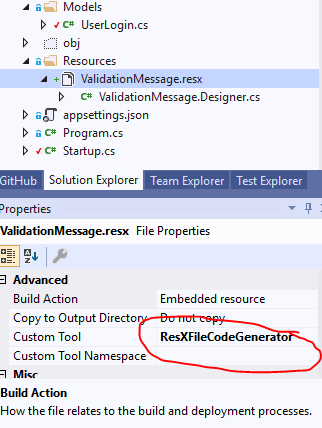 It's so simple you just need to add resource file ValidationMessage.resx under the project as I have added. After adding it you will found that corresponding ValidationMessage.Designer.resx is not available inside resource folder. 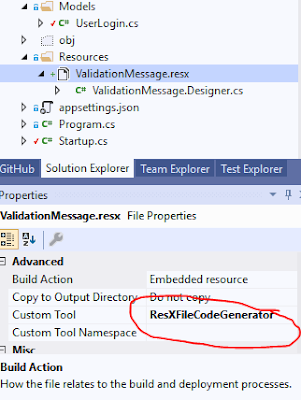 So you need to set Custom Tool property for the .resx file as ResXFileCodeGenerator, as soon as we add it, will find ValidationMessage.Designer.resx. 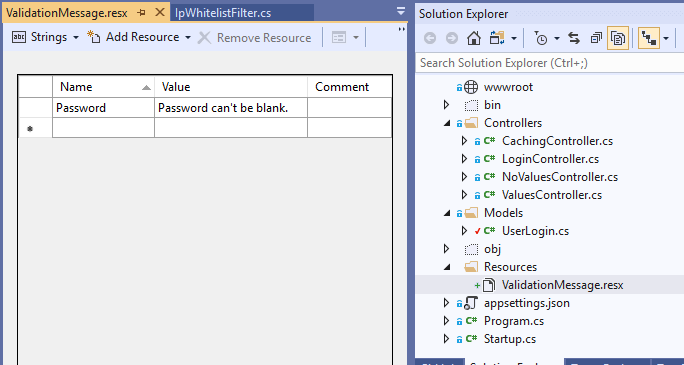 ModelValidationState Error message from your resource file. services.AddDataAnnotations() Extensions in order to enable DataAnnotaions validation. 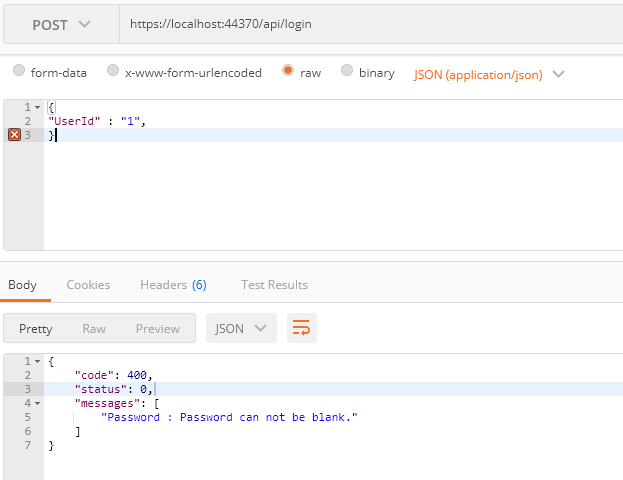 And that worked for DotNetCore Web API model validations.